Awesome deal on Pillsbury orange rolls! You are here: Home / printable coupons / Awesome deal on Pillsbury orange rolls! Growing up, orange rolls were a special family treat for us. Now that I have my own family, the tradition continues and I always love it when I can get a great deal on them! My Blog Spark has provided a HOT printable for $.95 off Pillsbury Orange rolls. Thanks Saving with Sadie for the heads up on this awesome coupon! Hot Kroger deal on Pillsbury, other catalina deals, and THE MEGA SALE IS COMING! 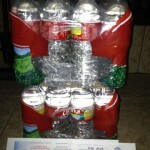 Kroger Ozarka water Catalina deal! 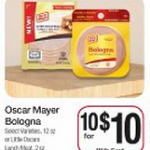 Oscar Mayer lunch meat: $.20 each after catalina at Kroger!